Leading Manufacturer of dhoop stick making machine, agarbatti making machine and incense stick making machine from Ahmedabad. We are the leading supplier of Dhoop Stick Making Machinemade available to our clients at competitive prices. Single Phase 220V , Three Phase. 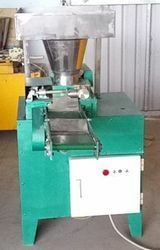 We are offering Agarbatti Making Machine to our clients. We are offering Incense Stick Making Machine to our clients.